At the bottom of the Garden: Check out the baby ticker!!! Check out the baby ticker!!! I've been waiting for this day for about 10 days now! Less than 50 days to go until my due date! But more significantly than that even, it´s been 50 days since I was all excited about there being less than 100 days to go!!! 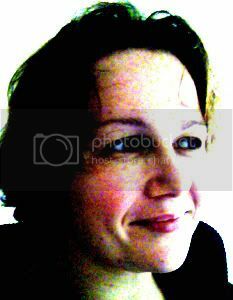 That feels like it was a fortnight again, but in that much time again I´ll be 'due'!!! 50 days ago was the 11th of July - last month!!! The half lifes until this baby comes are just getting shorter and shorter!!! That said, I told Dave last night I only have 50-75 potential "good night's sleep" left now. Eeeeek! Oh isn't that a gorgeous ! love the colours ! loving the knitting! how did you do the booties? very jealous of your talent! love the knitting, both sets are gorgeous colours! 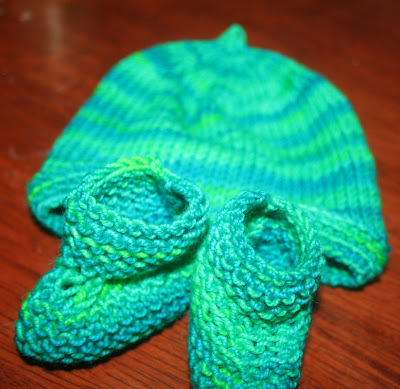 Jen, the booties are so simple, I'll send you a link to the pattern!